EMA MLM is NOT a solution - ComFit Europe Ltd.
European Medicines Agency (EMA)’s medical literature monitoring service, called MLM does not cover the literature monitoring obligation of Marketing Authorisation Holders (MAHs). 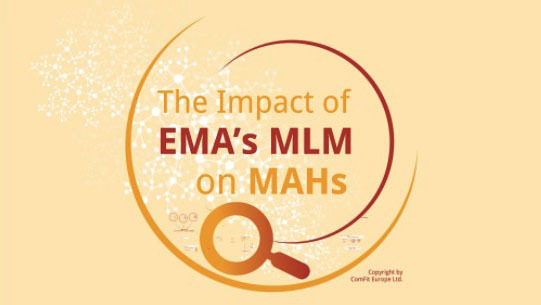 MAHs should be careful about how they interpret the impact of EMA MLM on their literature monitoring, otherwise they may get findings at an inspection. Let’s see what causes the misunderstandings. Another wrong interpretation of MLM service is to stop monitoring the journals that are in the list of MLM. MAHs can only do so if all their active substances are selected for monitoring by MLM. If not, then MAHs cannot exclude the monitoring of any journals because they are obliged to monitor their substances not monitored by MLM in all the journals. EMA excludes those Individual Case Safety Reports (ICSRs) found during MLM that occur outside EEA and contain suspected non-serious adverse reactions. Furthermore, MAHs are still expected to collect safety data besides ICSRs for aggregated reports such as PSUR. To sum it up, MAHs are advised to think it over carefully what they can exclude from the literature screening using MLM. MLM is a service run by EMA, fully operating from 1 September, 2015.